Bella Mar is a spacious three level townhouse with private parking below and five balconies you can enjoy views of both the ocean and the bay! 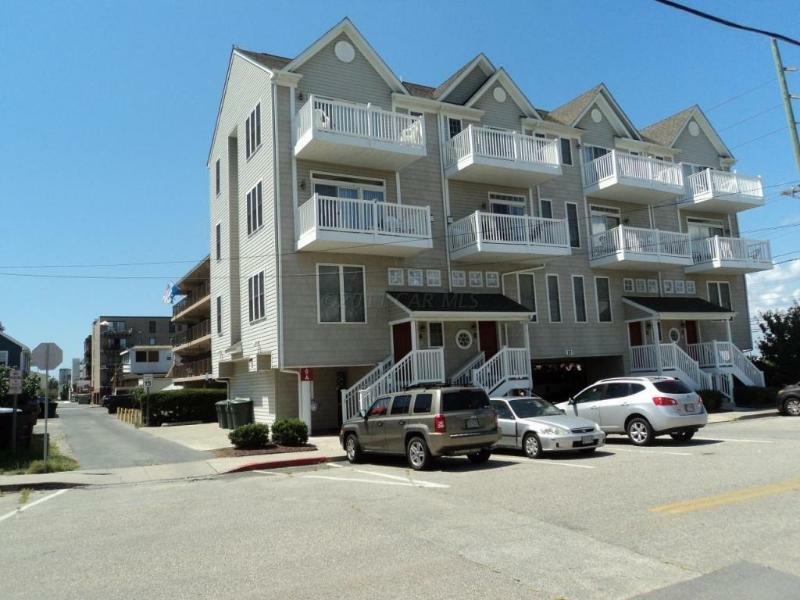 Location is less than a block walk with direct access to the beach. Mid town location is perfect to enjoy all of the local restaurants, shops and activities. Enter the unit onto a half-level foyer area with stairs to the first floor. The first floor has two bedrooms and a shared bathroom is located between the two bedrooms. There is also a laundry closet on the first floor. The second level living space has a spacious living room with new flat screen TV, a fireplace, a large sleep sofa, dining area and modern kitchen with granite tops. This entire floor is completely finished with wood laminate floors. The third floor has two master bedrooms, each with their own private bathroom. Non-smoking. No pets, please. This place was unbelievable! Super roomy, amazing location, clean, just perfect! The owner also responded super quickly to all of my questions. I cannot day enough great things about this place! Thank you so much! This condo is amazing! You enter from the balcony and it is breathtaking. If you're lucky enough to be in OCMD when the sun is shining, you may never leave the balcony. The inside is roomy and comfortable. My 10 girlfriends and I had plenty of room and never felt cramped. The bus stop is on the same block which is extremely convenient!! Overall, it's the best place I've stayed in OCMD and I will definitely be returning in the future!! Debbie was great to work with and very quick in responding. Thanks for a great weekend!! !